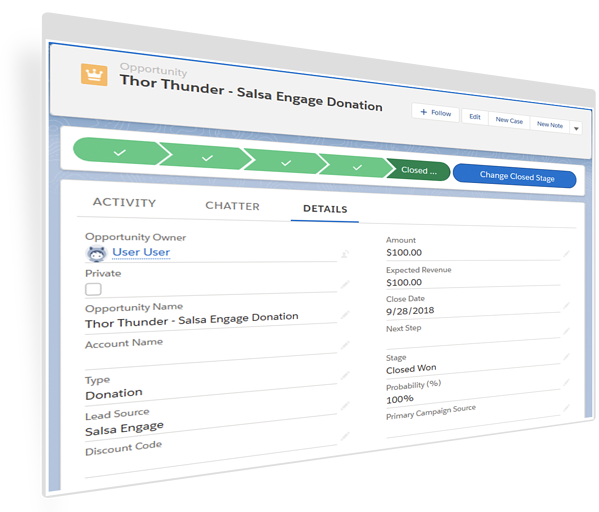 Salsa Engage will sync supporters (both new and pre-existing), activity and engagement data with Salesforce. 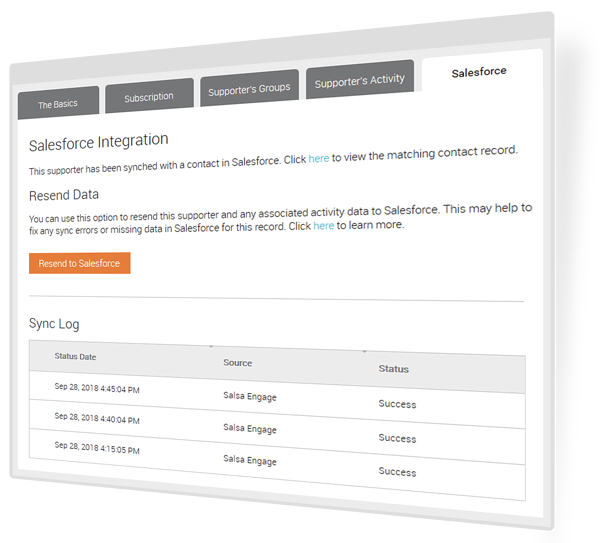 Salesforce will in turn sync updates made to contacts and other mapped data with Engage. A bidirectional sync allows relevant marketing/engagement data to flow into the CRM, while providing for easy segmentation and automation in Engage. Salsa Engage is an online marketing tool that will increasingly use automation and dynamic personalization. 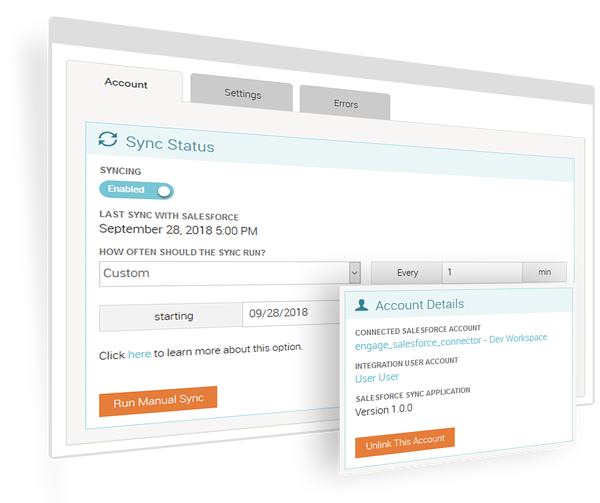 Data updates from Salesforce can trigger quick updates to synced records in Engage (and visa versa) every 5 min. to allow timely, automated and dynamic engagement. 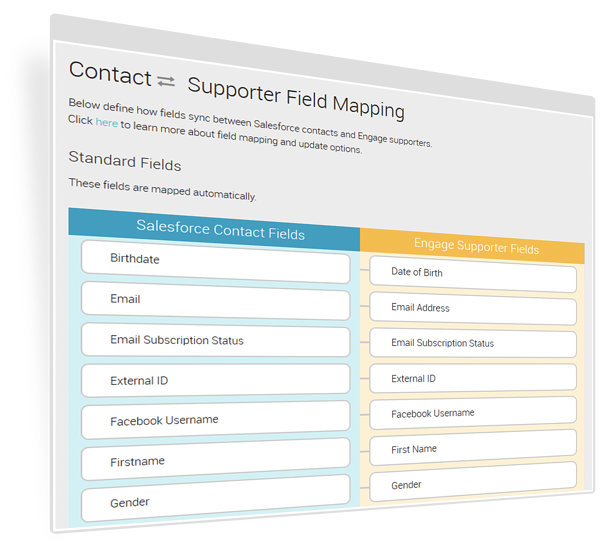 Many Salesforce integrations require significant consultative or technical resources to get up and running. 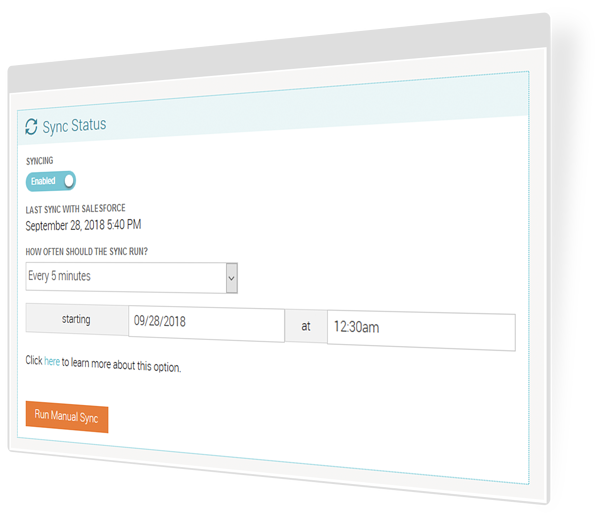 With configuration, connection, and mapping interfaces that are user-friendly, the sync does not require significant time or staff investment. We built the sync mapping, configuration, error logging and setup options inside of Salsa Engage. 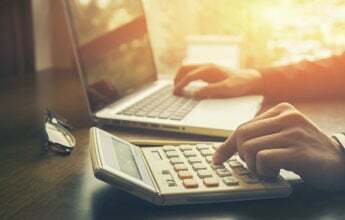 There is no middleware or third-party platform to add to your list of programs to manage. 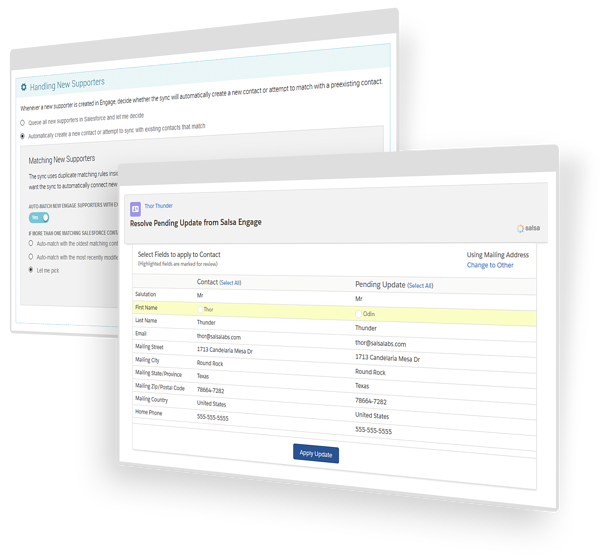 The sync prioritizes using native Salesforce tables and records to make cross-channel reporting easy. No need to build complex reports combining lots of custom objects to get simple answers. 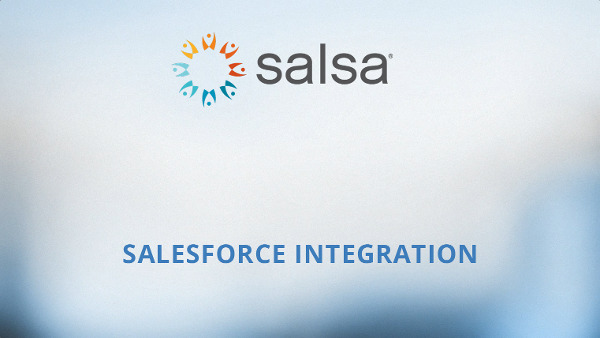 Salsa integrates with Salesforce’s Duplicate Matching rule system to identify duplicates. Set duplicate matches to merge automatically or optionally review them before merging. Since we moved to Salsa, we've been able to fully integrate our P2P Fundraising and our online fundraising with our donor database. This is a huge time saver. 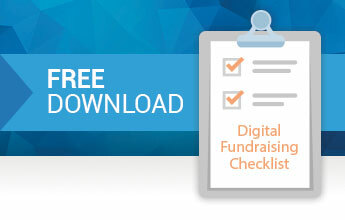 Want to Learn More About Online Fundraising With Salsa?